Adolf Eichmann, known as the architect of the Holocaust, planned the murder of six million Jews down to the last detail. He wrote schedules for freight trains on which the victims were transported to Auschwitz, estimated the number of Jews who could be killed in Nazi Germany’s death camps in one day, and made sure the genocide could go ahead without interruption. After the war, Eichmann, one of the worst Nazis, and one of the worst war criminals in human history, managed to conceal his identity, using false documents. In 1950, he assumed the alias Ricardo Klement and fled to Argentina. 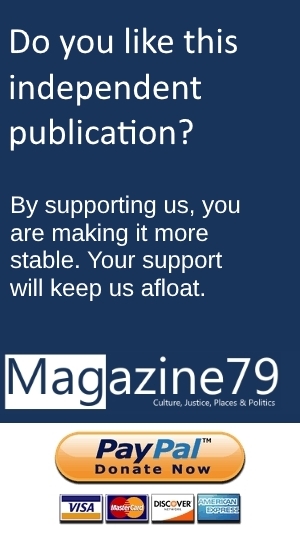 Organizations set up by fellow Nazis helped him flee. 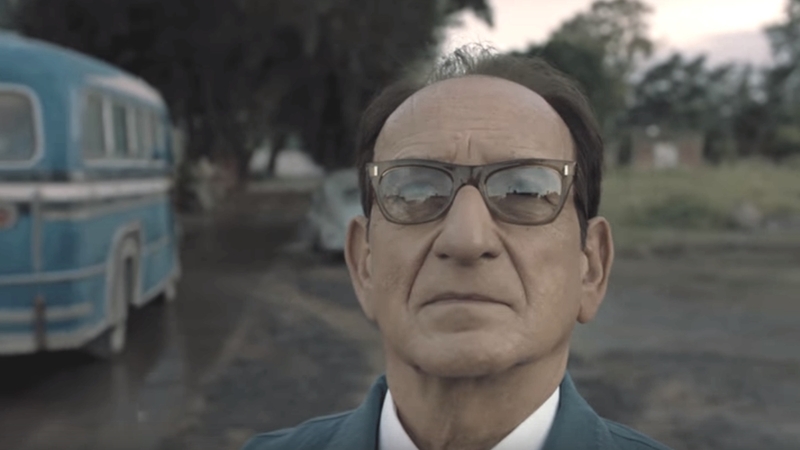 In “Operation Finale”, Sir Ben Kingsley plays Adolf Eichmann, one of the worst war criminals of all time. For almost ten years, Eichmann was a free man in Argentina. He worked for Mercedes Benz. His sons boasted about their father’s “achievements” in Nazi Germany. One of them dated the daughter of a German-Jewish refugee who alerted the authorities. According to media reports, the Western German government at the time knew Eichmann was in Argentina, but did not seem to be interested in having him extradited. With that in mind, the prosecutor-general of the state of Hesse, who had been alerted by that German Jew in Argentina, informed Mossad, which turned out to be the right step. In May of 1960, Shin Bet agents captured Adolf Eichmann in Argentina and put him on the plane of an official Israeli delegation. The world was stunned when Jerusalem announced his capture and trial. During the latter, Eichmann was found guilty, sentenced to death and executed. Until today, he remains the only person who was executed by Israel. The incredible success of Eichmann’s capture in Buenos Aires, which many people contributed to, including the late Nazi hunter and Holocaust survivor Simon Wiesenthal, has been told by reporters who covered the trial, including the former Bulgarian journalist Victor Baruch. Thirty-six years after the capture, an American TV movie was produced. In “The Man Who Captured Adolf Eichmann”, Robert Duvall did a brilliant job as Eichmann, while other cast members did not deliver that well. Still, the film, which was available on Youtube in full length when this article was written, brought the story across quite well. 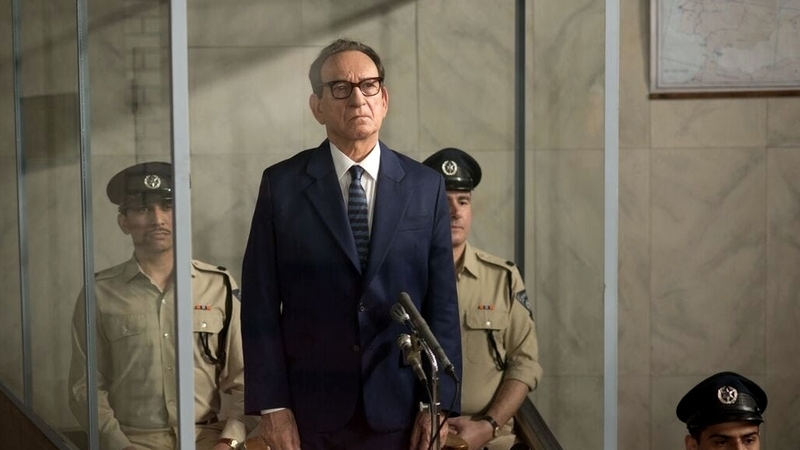 But now, from August 29th, 2018, “Operation Finale” will be shown in cinemas all over North America. When this article was published, the European premiere date was not known. In this case, Sir Ben Kingsley (“Ghandi”) portrays Adolf Eichmann. Oscar Isaac is the Israeli Shin Bet agent and Nazi hunter Peter Malkin, whose sister was murdered by Eichmann’s henchmen, along with her children. He gets to question him. 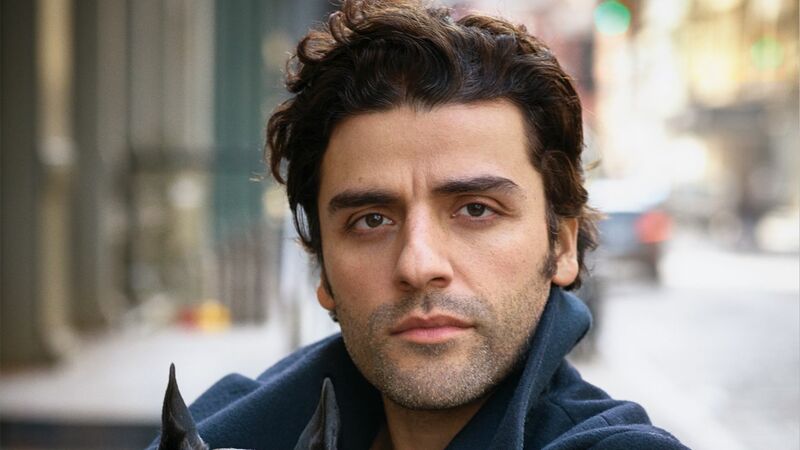 In the motion picture, Oscar Isaac is Nazi hunter Peter Malkin. Matthew Orton provided the script for “Operation Finale”, a large part of which was filmed in Argentina. The cast also includes Nick Kroll, Joe Alwyn, Michael Aronov, Greg Hill, Melanie Laurent and Greta Scacchi. The motion picture is being distributed by MGM. Director Chris Weitz, who has been known for very different projects such as “American Pie”, “The Golden Compass” and “A Better Life”, just to name a few, was chosen for this very serious film. Judging from the trailer and cast, it will most likely be convincing.